Discussions about U.S. migration policing have traditionally focused on enforcement along the highly charged U.S.-Mexico boundary. Enforcement practices such as detention policies designed to restrict access to asylum also transpire in the Caribbean. 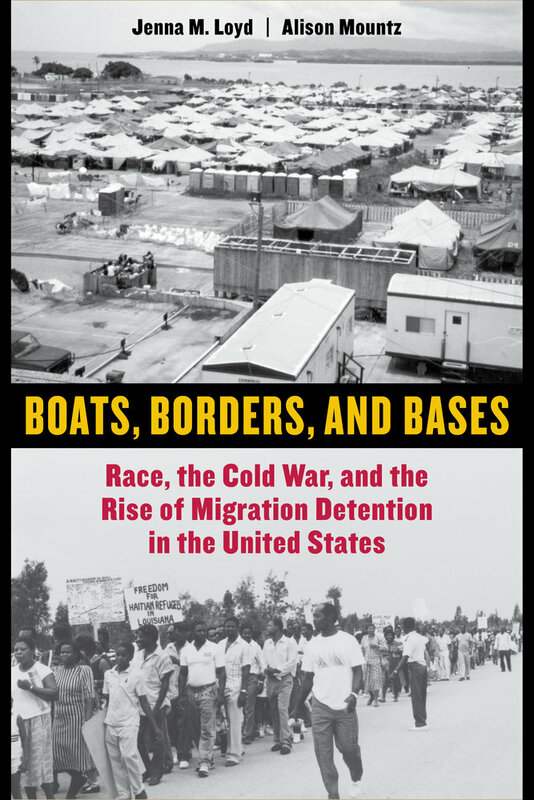 Boats, Borders, and Bases tells a missing, racialized history of the U.S. migration detention system that was developed and expanded to deter Haitian and Cuban migrants. Jenna M. Loyd and Alison Mountz argue that the U.S. response to Cold War Caribbean migrations established the legal and institutional basis for contemporary migration detention and border-deterrent practices in the United States. 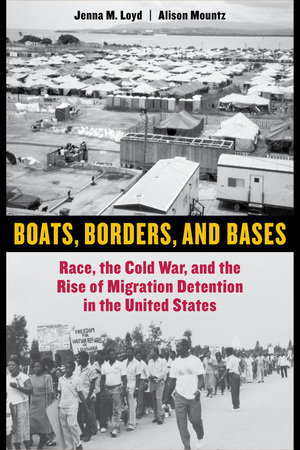 This book will make a significant contribution to a fuller understanding of the history and geography of the United States’s migration detention system. Jenna M. Loyd is Assistant Professor of Geography at the University of Wisconsin-Madison. Alison Mountz is Professor of Geography at Wilfrid Laurier University and Canada Research Chair in Global Migration at the Balsillie School of International Affairs .